Yesterday while my friend and I went to town Siam Road to order medals for our Co-op coming Handball Match. After settle down the medals things, we walked through the town (Dato Keramat- KOMTAR) I suggest to my friend went to Prangin Mall to shop here and look there. Look for girls or anything 'cetak rompak' Haha. 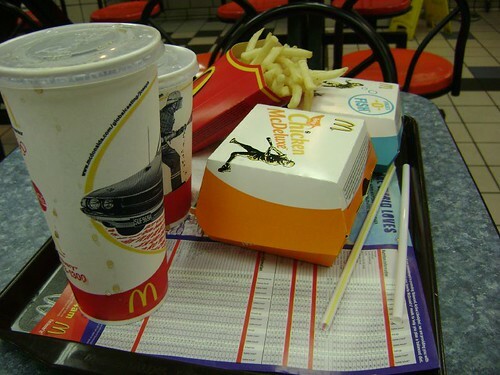 Anyway, then we have our lunch before went home. What we have? 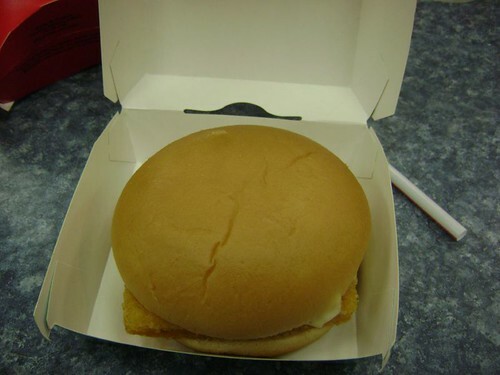 I have myself a Mc Filet O Fish burger and my friend get himself a Mc Chicken burger. We ordered a set of drinks and also one fun fried. Hahax. 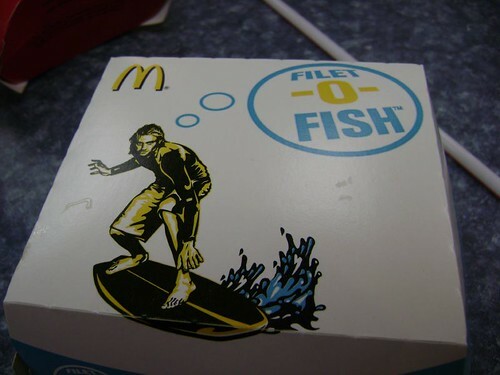 Here there my Filet-O-Fish. Open it and see! What in it contains? Open it!